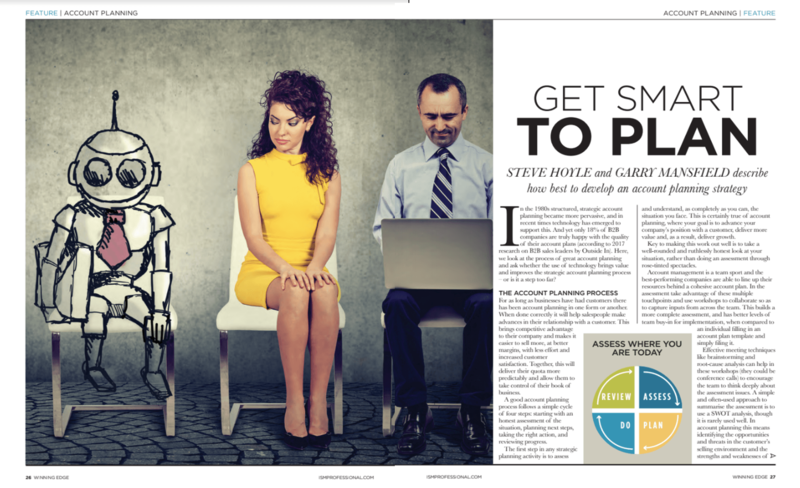 Garry Mansfield and Steve Hoyle collaborated to write an article on how to approach account planning in a b2b company. Based on decades of experience in this field, the authors offer a simple approach, with key considerations to help you to build a sustainable and effective approach to managing key accounts. The article was published in the Institute of Sales Management (ISM) members magazine, Winning Edge, in 2018.